Performed in Haus der Kunst and Hoch X Theatre - Munich and lastly perfromed in Theatro Technis Karolos Koun, Athens. The greek-german collaboration of Manuela Hartel (video art, Munich), Christina Calbari (visual art, Athens) and Stavros Gasparatos (sound art, Athens who performs his music live in the performance) is questioning the human existence in its mental, emotional and physical spectrum. The performance relates to the human as creator and creation and in particular as a creature. In Manuela Hartel’s video editing on Christina Calbari’s figurative drawings, she is carving-out the sketched characters instructing them to come to life on stage. 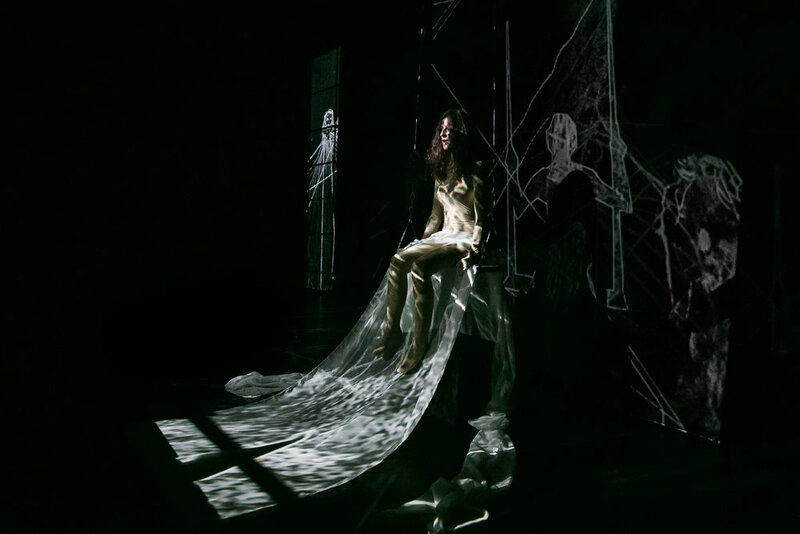 A custom-fit video mapping technique applies the figures with a projector onto stage setting and performer. Her body as individual imbedded into a projected environment is reciprocally the central figure or just a detail of it. The beautiful and simultaneously awkward-seeming figures are communicating in their multiple personality structure with our neglected inner or infantile portions of the self. The tender music of Stavros Gasparatos is interacting with the images and M. Hartel’s singing voice. He is working with live recording, reproducing and newly arranging the vocal sounds to emphasize the multiple aspects of our hearing perception in his composition. Developed, staged and fitted into the theatre space of Theatro Technis in Athens during Documenta14 in 2017, the performance refers to the concept of the inner self: issues of identity, the psychological dimension of existence, the different aspects of the self, the self and the other. 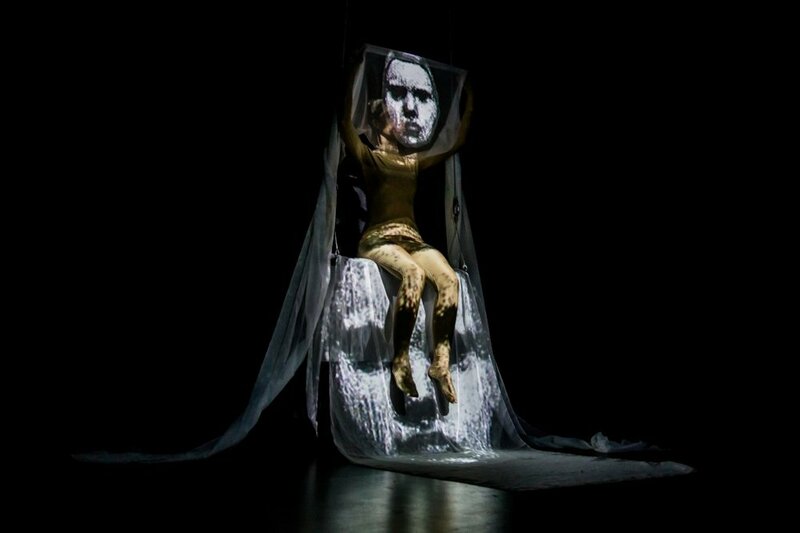 A striking multimedia diorama astoundingly inhabited by the performer and its digital reproductions.